Reduce Yeast, Lose Weight and Heal your Body! Jess's approach is simple, safe and effective, using natural foods and easy to find supplements that won't cost you a fortune. This program also allows you to go as quickly or slowly as you like- and helps you to understand how to tailor your activities and nutrition to fit your lifestyle. If you suffer or have suffered from yeast overgrowth, you are well aware of how fatigue, pain and weight gain can turn a bad situation WORSE. we tend to turn in circles when dieting- never truly able to maintain weight loss or the feeling of sustained wellness because of the imbalances that yeast overgrowth causes the gut. By reducing unwanted fungus and biofilm buildup we treat the underlying cause of even the most horrible dieting cycles which tend to be driven by yeast. Many of Jess's clients have seen remarkable changes even within starting the first few days... Pain and fatigue lift, weight begins to reduce, cravings reduce and moods are more stable and lifted. There are many documents you may download along the way with holistic health tips included for a lifetime of wellness! 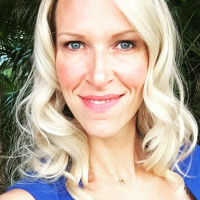 Jessica Ernst is the founder and owner of 90 Days With Jess and a certified nutrition and wellness coach, practicing in the Washington DC area for more than 7 years. She is genuinely passionate about her work and helping others to live out their best lives EVER! Jess is a wife and mother of 3 and is truly a living testimony to a holistic wellness path. She promotes a well rounded lifestyle and educating the community on nutrition and wellness practices through leadership, action and self-advocacy. Her focus is on educating as many people as possible on how to manage each person's unique nutritional and self-care needs to stay well for life. Jess has attended numerous certification and accreditation courses to include Nutrition and Weight Loss, Reiki, Neuromuscular Stimulation, Personal Training, and Essential Oil Therapy. She is an accredited member of the Council of Holistic Healers and continually strives to stay informed and up to date on all things related to integrative health and medicine. Through her consulting work and partnerships with local integrative medical businesses, Jess has had the opportunity to coach and teach hundreds of people about nutrition and weight loss through one-on-one lessons, group workshops and public speaking engagements around the region. Jess has a history of health challenges that she too had to overcome in order to get here including a severe battle with yeast, leaky gut, chronic inflammation and endocrine disruption- all experiences she now recognizes were a part of her journey to helping others through mentoring and coaching in nutrition and wellness. It is her passion to educate everyone and anyone on the harmful effects of yeast overgrowth and how to heal the body from it. You will learn more about her positive energy, honest and humble heart through the series of videos in this quest! One-on-One Virtual Coaching Now Available! 30 minute visit for $49.95 via Paypal Schedule Here Now! 60 minute visit for $89.95 via PayPal Schedule Here Now! Your first level is all about learning. You will find in depth videos, links and documents describing candida and how one becomes imbalanced. Level 1 also gives you documents to download for grocery shopping, supplements you can easily find online or in stores, stress reduction techniques and more! More tips and tricks here for dining out while on the plan, mind boosting activities to promote envisioning your future healing, directions on how to progress in the cleansing process while balancing a busy lifestyle! Once your cleansing has progressed and you are feeling relief from inflammation, we can now focus on building a stronger and more robust digestive tract. You will learn the essential tools for keeping your digestive tract working efficiently and healing any damage that has been incurred over time. The final level at last! You will be feeling great and ready to continue your healing journey. I focus on balancing a healthy and well rounded lifestyle to suit your transformation goals in this level. You will find tools for continued wellness and weight loss to keep you on a successful path ahead! "Just wanted to give a shout out to Jess for making this wonderful plan that combats the overgrowth of candida in the body. My experience with her protocol was amazing! I lost weight, my mind became clearer, my depression was lifted and perception of my unique self became positive. I honestly never feel deprived or restricted which was such a relief since I had at one time suffered from an eating disorder. The plan is simple and easy to manage, leading me to a vibrant mind, body and spirit!" "My bloating and pain subsided immediately"
"I started the cleanse about a month ago because I was having really bad low back and stomach pain, and when I went to the hospital they tried to take my appendix out. Jessica knew my symptoms all too well. When I first started, immediately felt the difference in my body within the first day. I wasn't as bloated and my back and stomach pain had subsided. Once it was over I didn't have cravings for a lot of the foods that I was craving before, sleep better, and have a lot more energy. So grateful!" "Brought me to an amazing place in my life"
"Having watched Jessica overcome challenges and obstacles of all kinds for many years, I trust what she says and respect her tremendously. Several years ago I had my own set of obstacles and challenges and although well read, couldn't fix myself as I had in the past. Being in her inner circle, I was aware of her successes so I reached out to her. We created a plan/path which brought me to the amazing place I am today, physically emotionally and spiritually. I adore her and am forever grateful."